Mr. Mayer is a seasoned OUSD administrator who was appointed to the principal’s office at Claremont in the summer of 2014, after nine successful years as principal at nearby Chabot Elementary. 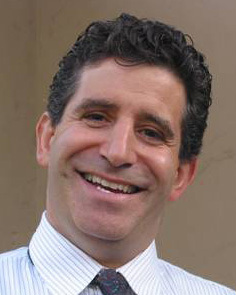 Mr. Mayer is a graduate of UC Berkeley, where he earned a B.A. and an M.A. from the Principal Leadership Institute within the UC Berkeley Graduate School of Education. 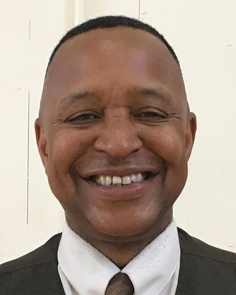 Prior to his career as a teacher and administrator in East Bay elementary and middle schools, Mr. Mayer worked as a community organizer, including several years at Oakland Community Organizations, a nonprofit federation of congregations, schools and allied community organizations. He is committed to building a safe and rigorous educational environment at Claremont that fosters equity, cultural sensitivity, physical fitness, social and emotional well- being and academic excellence for all students. Mr. Watson joined the Claremont Middle School leadership team in 2017 after 17 years teaching in elementary schools in the Bay Area. An Oakland native, Mr. Watson began his educational career in 2004 as a physical education teacher at Vallecito Elementary in San Rafael. In 2008, he moved to the West Contra Costa School District to teach 5th grade Math, Science, Social Studies and Physical Education. Mr. Watson received his teaching credential from Dominican University of California, along with a Masters in Science in Elementary Education and Curriculum. He completed his administration credential from Brandman University. He also holds a California Multiple Subject Teaching Credential. Prior to teaching, Mr. Watson had a career in the military and the private sector. He worked at Charles Schwab, Kaiser Permanente and the United States Department of Agriculture, and he served as a telecommunications operations supervisor with the United States Army for eight years. We prepare students to leverage their grit to build academic stamina, while building bridges across differences to create positive change. We explicitly teach and continuously reinforce rigorous and relevant instruction within a compassionate, mindful, and safe environment. We lead with learning as the main event, with equity at the center and student voice as the driving force. We inspire our students and staff to continuously find ways to work collaboratively, to spark curiosity for learning, and to find the joy in the process.